A parfait is a 'French ice cream' without using an ice cream maker. 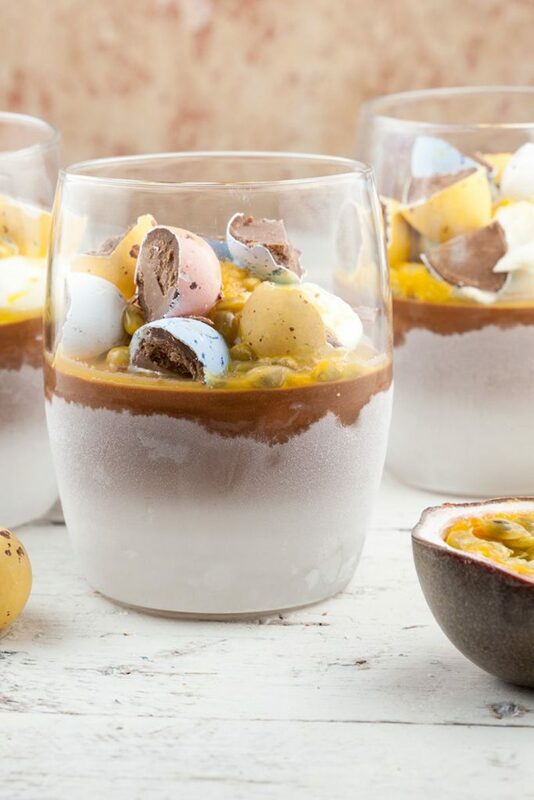 This chocolate parfait with passion fruit is super easy and perfect for Easter. CHOP the bars of chocolate into pieces and meanwhile HEAT the water and sugar in the small saucepan. BEAT the egg yolk until it’s fluffy and pale, that would take a few minutes. Meanwhile DISSOLVE the chocolate into the warm water and let it cool off slightly. 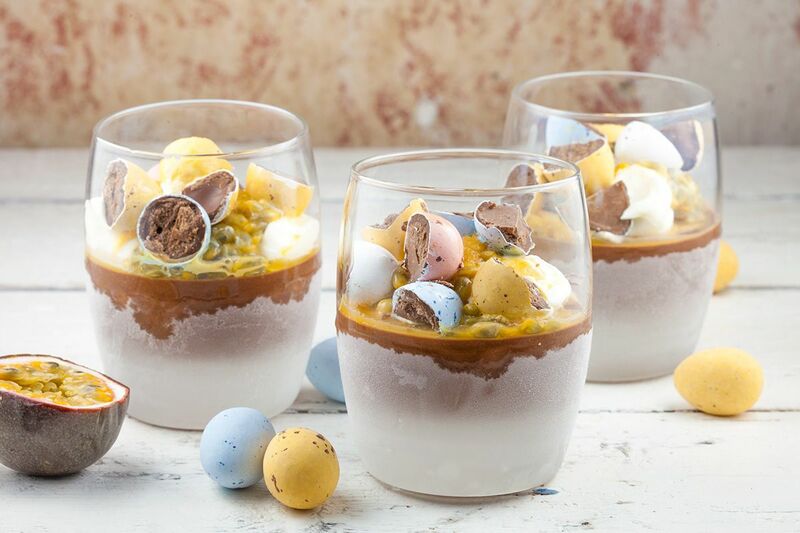 As soon as the egg yolk is fluffy, ADD the chocolate mixture. 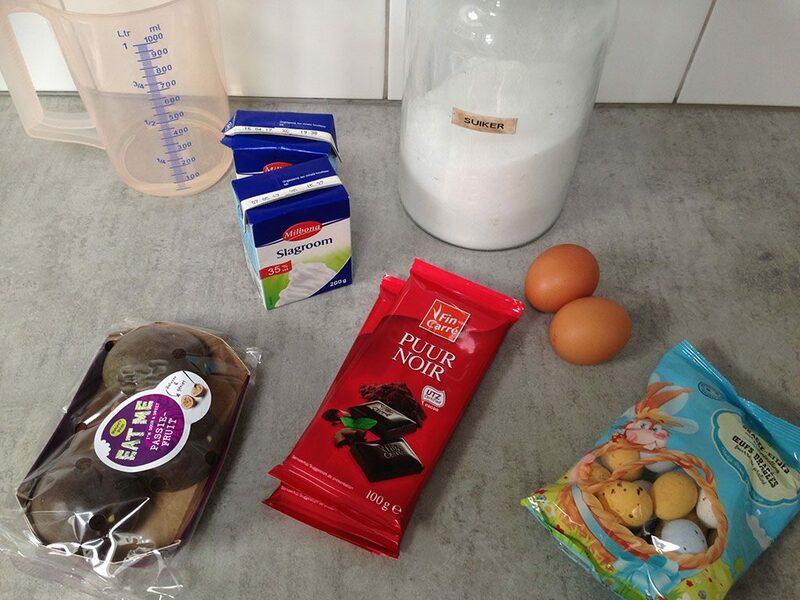 WHIP up 200 ml heavy cream until you’ve reached the thickness of yogurt and ADD it to the chocolate mixture. DIVIDE the mixture over 6 glasses and set them in the freezer for at least 2 hours. If you like, you can whip up some extra heavy cream as a topping. SLICE the passion fruit in halves and use a spoon to ADD the pulp on top of the parfait. 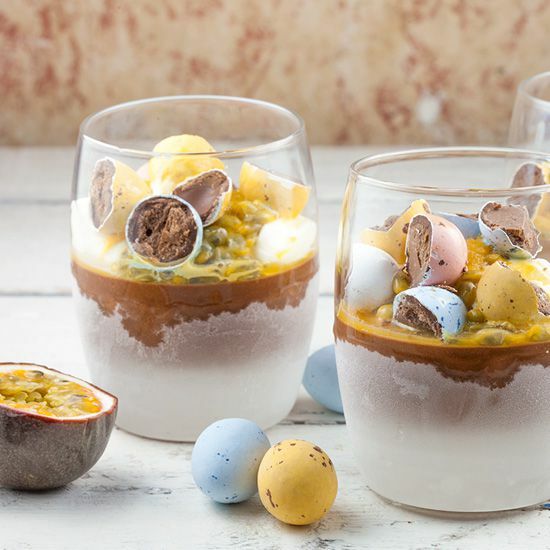 DECORATE with chocolate Easter eggs and wait about 10 minutes until the parfait has softened a bit. This way it’s easier to eat the lovely parfait. Enjoy!